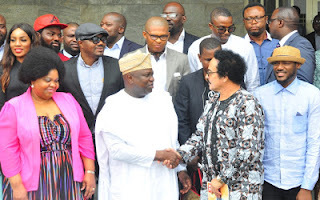 Governor Ambode, who spoke at the Lagos House, Ikeja, when he received AFRIMA delegation led by Head of Culture of African Union Commission, Ms. Angela Martins and AFRIMA President, Mr. Mike Dada, expressed excitement at the development and accepted the hosting right, saying that it was in sync with his passion of using tourism, hospitality, entertainment, arts and sports to promote excellence. 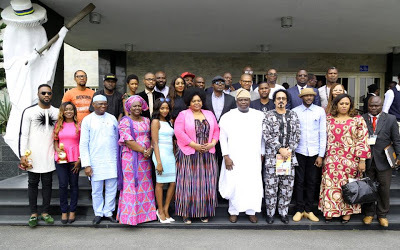 The Governor said he believes that talents abound in Africa, which, according to him, informed why his administration had been working hard to promote the African artists, adding that talents must be supported and assisted not to die, so that they can use their talents to push Africa to her rightful place. Besides, the Governor urged those in the creative industry to key into the N25bn Employment Trust Fund set up by his administration. Earlier, Martins commended Governor Ambode for his passion in developing and promoting arts and culture in the continent. 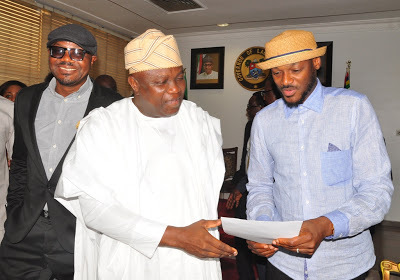 She recalled that out of the States in Nigeria that received letters from the leadership of the African Union through the Commissioner for Social Affairs, His Excellency Dr Mustapha Sidiki Kaloko, Lagos won the rights to once again host the 2016 edition of AFRIMA, adding that the development was a great achievement for both the Union and the State. 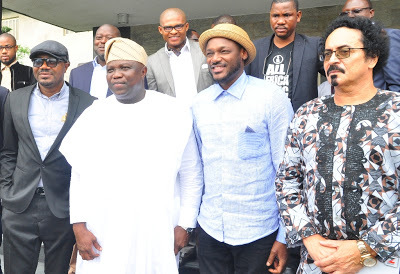 In his opening remarks, the State’s Commissioner for Information and Strategy, Mr. Steve Ayorinde said the hosting right of AFRIMA further attests to the commitment of Governor Ambode to promote culture, arts and tourism. 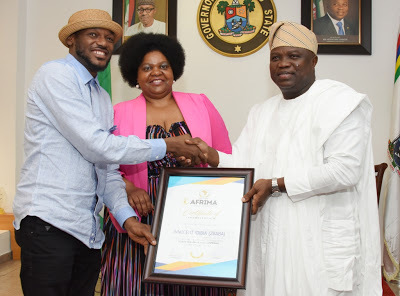 Ayorinde, who reeled out many achievements of the present administration in the sector such as the expansion of the One Lagos Fiesta, the hosting of the International Jazz Festival at the Lagos House, and the upcoming celebration of Lagos at the Toronto International Festival in September, said the Ambode administration has indeed continue to use the sector to achieve excellence.